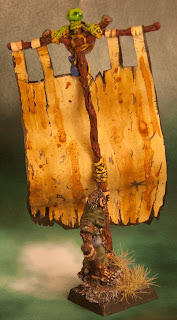 One of the most prominent features in the Armies I have used as a source of inspiration are the customized banners. 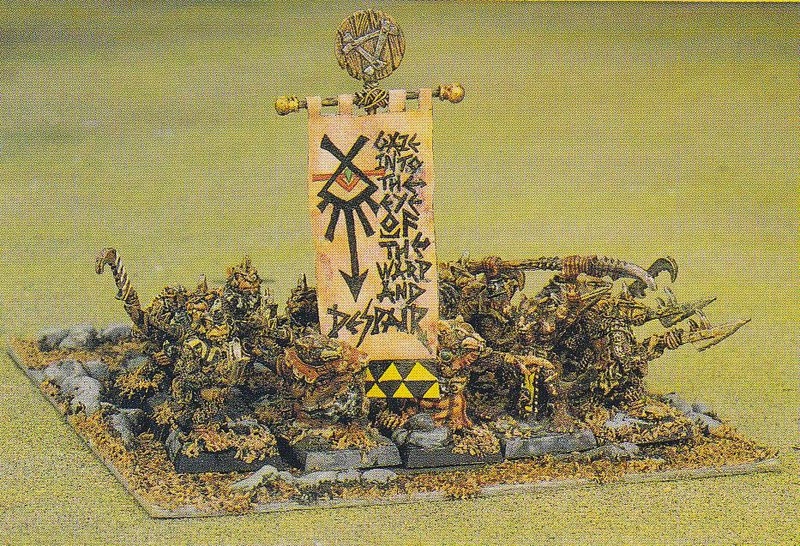 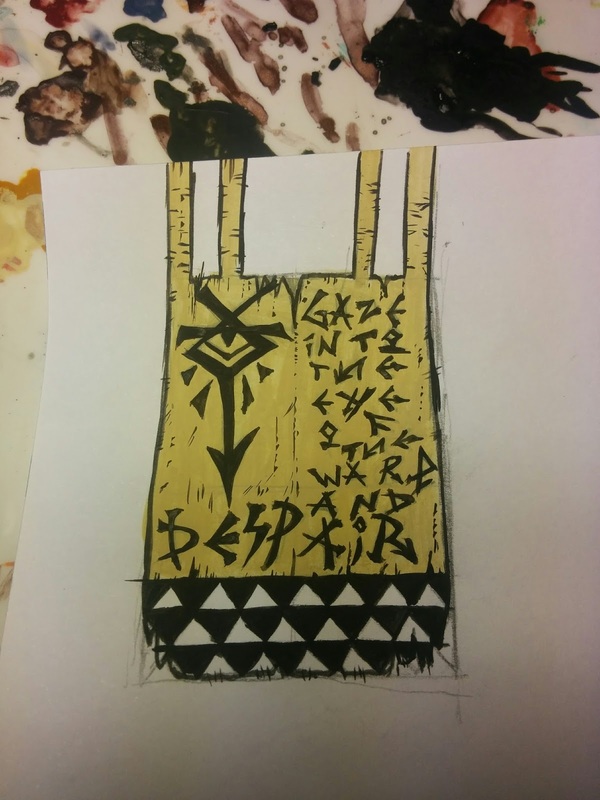 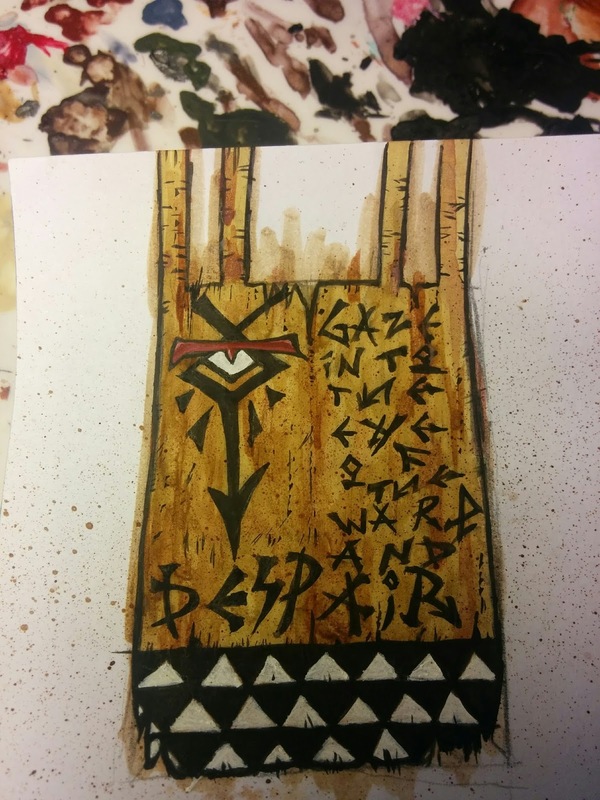 The original Army from Andy Chambers has a huge banner that reads "Gaze into the eye of the warp and Despair". 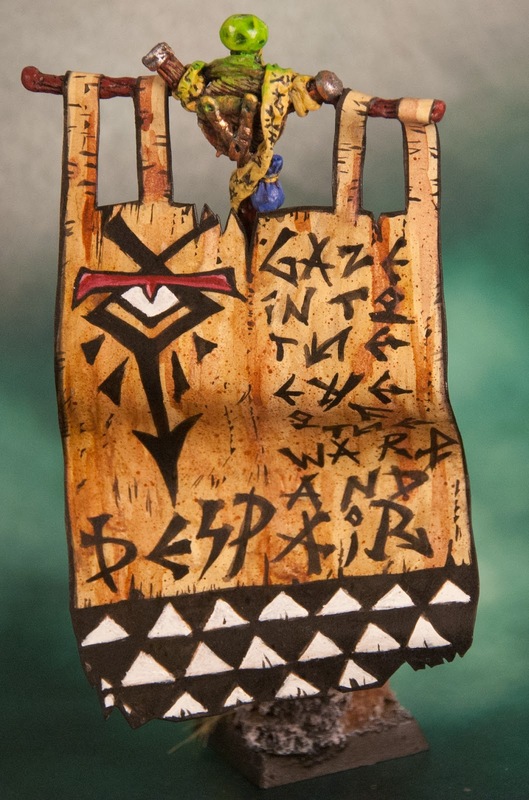 Nico's Army has the same Banner. 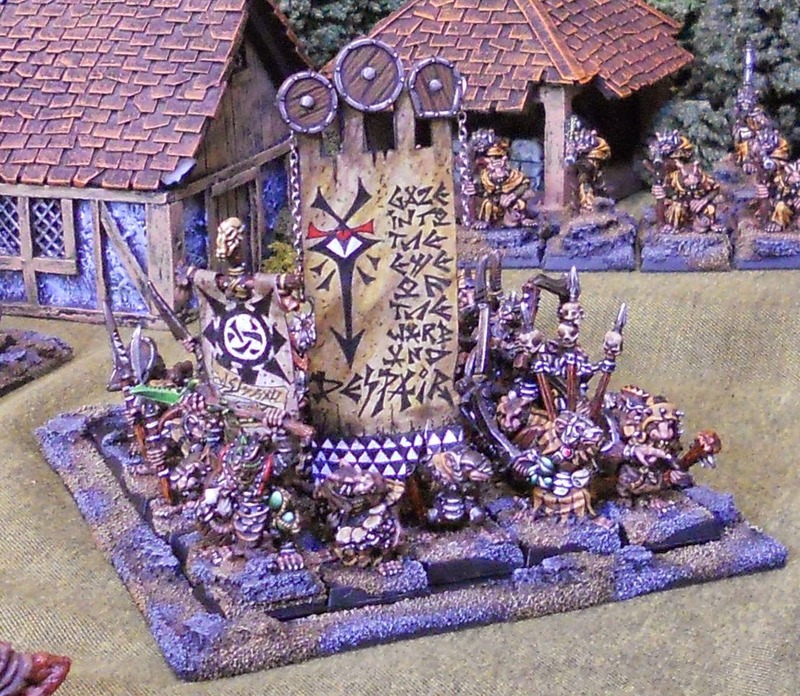 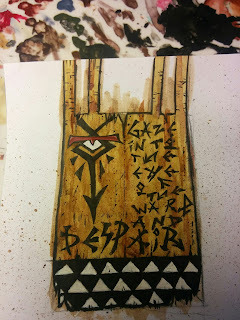 I already mentioned this Banner in the first post back in January 2015, when I wrote about my -by then- future skaven project; I have always find it very inspiring. 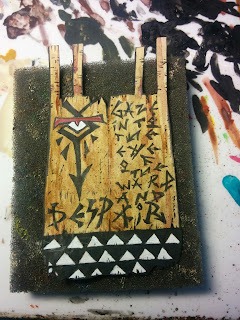 Extract from Warhammer Armies 3rd. Of course I decided I would do the same. 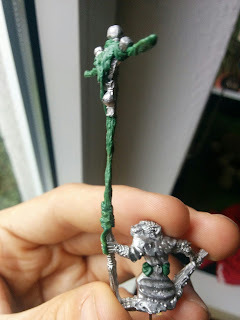 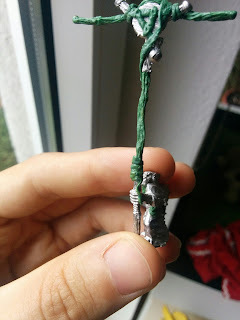 I took a normal battle standard figure and split the banner pole in two, then I plugged it with a wire and added greenstuff to simulate wood. When it was dry, I simply added a few more details such a skaven icon and scrolls. 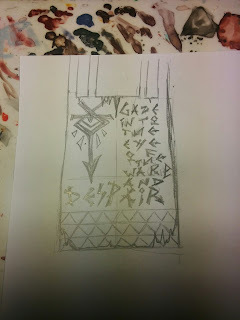 You can see here the work before it was black primed. 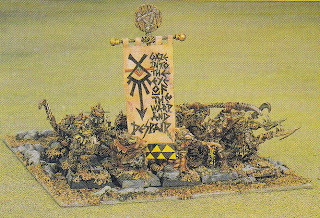 The Banner was painted following the same technique as for all the other banners of the Army. 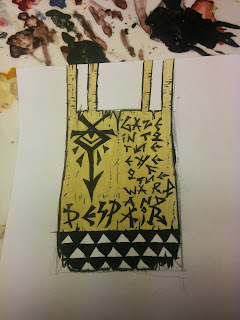 In this case I did a design by hand using a soft pencil, then I just paint it with a fine brush and watered down paint. Here is the finished miniature. 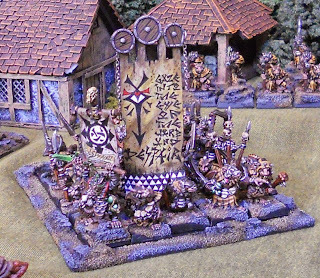 It adds for 77 points for 4th ed. 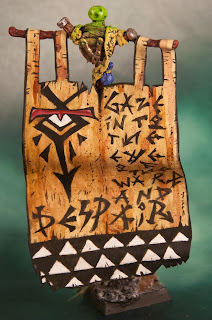 and in 3rd ed. I could use it as a Chieftain designated as army standard bearer for 28 points. 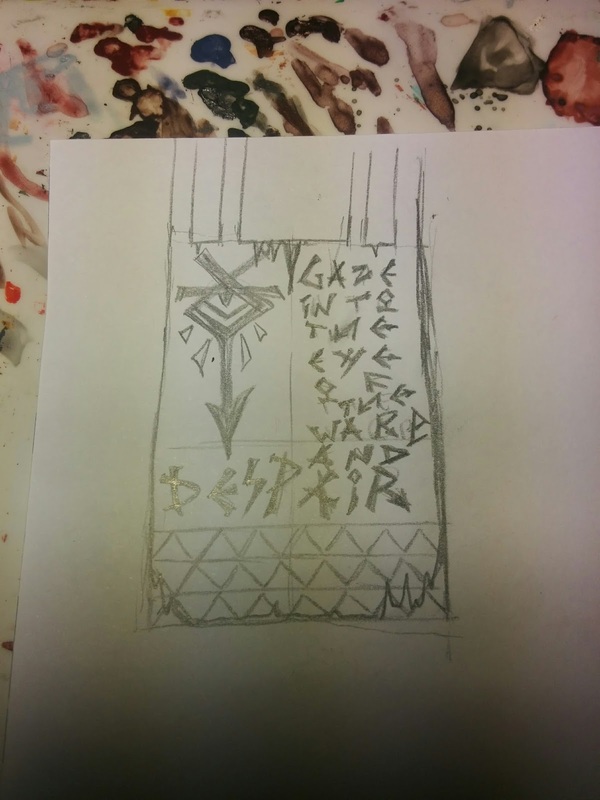 You can compare it with the one from Andy Chambers and the one from Nico.